The Northridge series of standalones have been my favorite Karina Halle novels ever! Everything from the Nelson Brothers, to the town, to the host of secondary characters always felt like coming home! Fox is such a broken character and very different from his brothers. Karina Halle opens the story with a flashback that not only serves to explain what motivates Fox but also to create sympathy for him, and boy do we feel sympathy for him. Even when he is shutdown and cold to those who love him, we ache for scared and alone little boy inside. Our hearts only further break when we realize that this man doesn’t know love and doesn’t know himself. His downward spiral although foreshadowed is hard to watch, but it only makes his comeback that much more rewarding. I have loved Delilah from the very beginning. My heart broke for her in the previous books when we saw her yearn to be truly seen by Fox. Our souls shatter with hers every single time Fox says the wrong thing. We cheer for her when she finally recognizes what she deserves and won’t settle for less. Underneath all this steel is a woman who wants to be loved and cherished and is vulnerable, making her a relatable heroine and a woman who deserves to have her happily ever after. Hot Shot is a romance but it is also about learning to forgive yourself and recognizing that you are worthy of love. It exemplifies how someone else’s love can only take you so far, and that for true happiness to occur that is has to come from within. Because of this, Fox and Delilah’s journey is hard and filled with angst. It is also, though, filled with hope, a dream that you can get better and that life can be everything you want it to be. Hot Shot by Karina Halle is the perfect conclusion to this series. We get emotion, angst, heat, and at the end we get an HEA Fox and Delilah deserve. Plus, she leaves us with a glimpse of the family we have grown to love, and one we don’t want to leave. Get your copy of Hot Shot today! 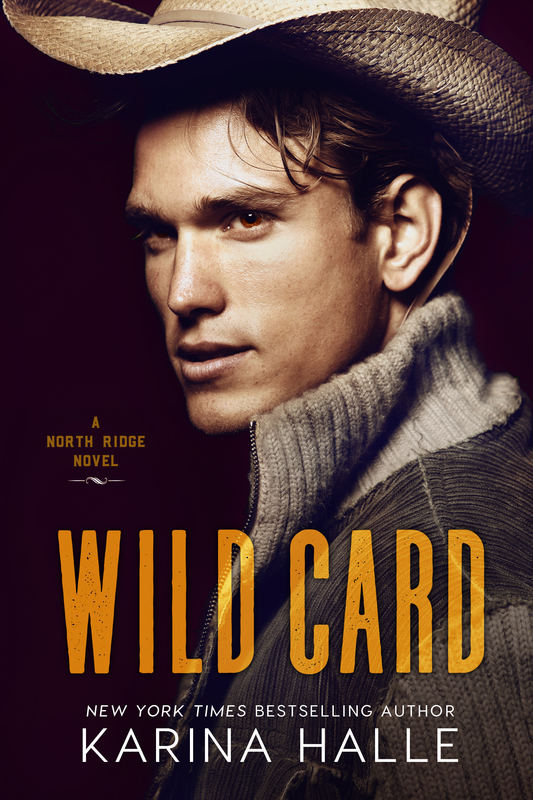 Get your copy of Wild Card today! Get your copy for Maverick today!